Optional first step: Grind up oats to a fine powder. Add the oatmeal to the honey and mix. 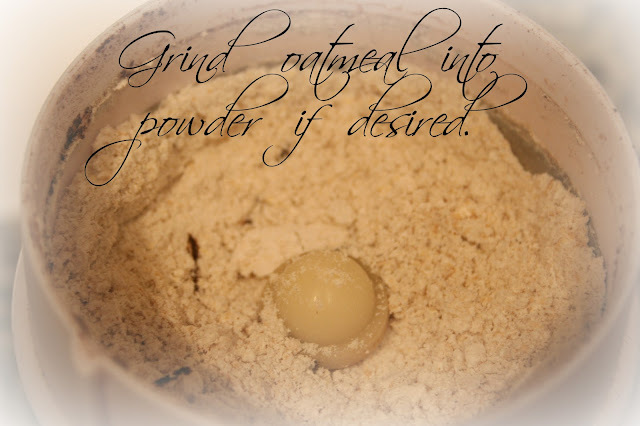 Add drops of water to the mix until a paste consistency is reached. This shouldn't drip from your face. 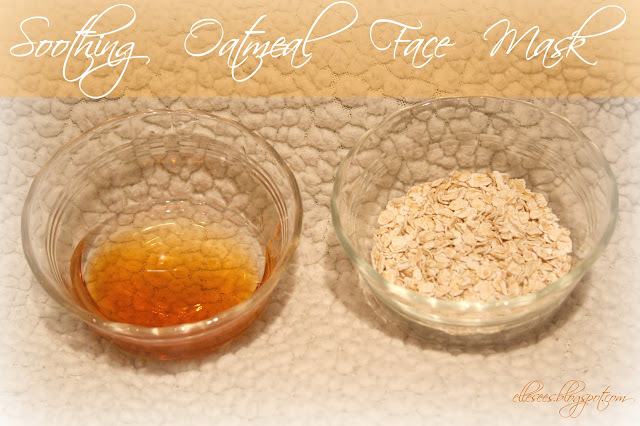 If your mask is too drippy, add more oatmeal to thicken. Leave on face for about 15 minutes--it should dry a little--and then rinse away with warm water. Finish with your favorite skincare routine if needed. Oatmeal eases itchy, red skin, and softens. It also exfoliates dry skin. Honey is antibacterial so it's great for acne-prone skin. It heals and moisturizes skin. I've used instant and traditional oatmeal and had the same results. It must be plain oatmeal, as flavored ones could have possible skin irritants. This mask can be made in a minute and stored in the fridge for around a month (I usually will add a drop of vitamin E if I store it). Want another oatmeal recipe? 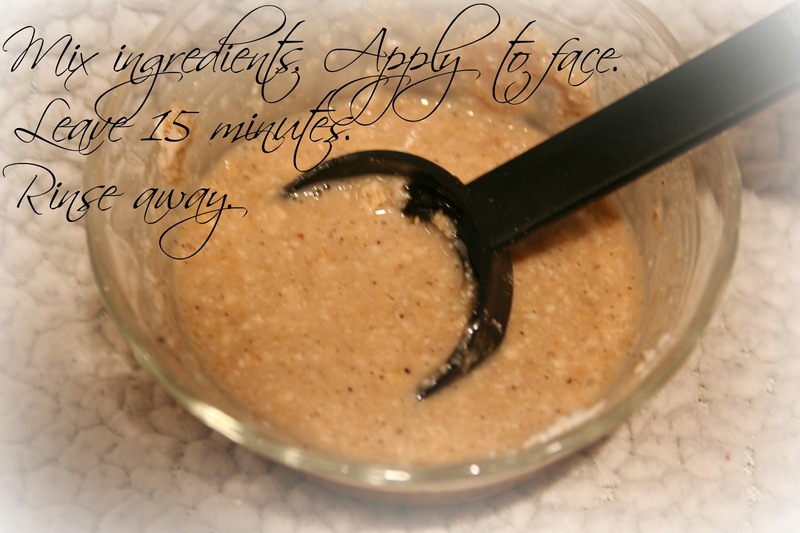 Try my Apple Face Scrub! 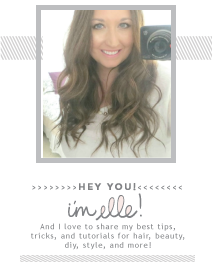 Love this DIY mask :) I use it all the time! I love this mask and done it before but you just reminded me again. So thanks doll. I can imagine this mask to be very soothing. I've also read that oatmeal is great for dry, itchy skin. It's super dry where I live and especially this time of year so this is one that I may just have to try. Thanks so much for sharing this. This is my first time living in a cold climate, so I am experiencing this dry skin thing. I might have to give the oatmeal mask a go! Thanks - this is a great simple mask! I will try this over the weekend!!! I'm now going to look for oatmeal and honey in the kitchen cupboards. Great tip! It sounds great and super easy to make! Thanks for the don't used flavored oatmeal tip- I would be the one to do something like that! 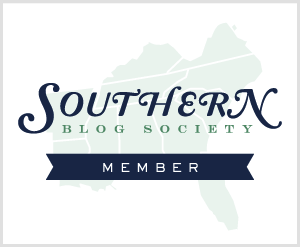 I have a giveaway too! Come check it out! I love that you can use this on the body, too. My legs are SO dry right now- I think I'll put this scrub to good use! Ack....the kids and I have some sort of itchiness during the winter:( Hate it! My mom always used this as a scrub in the shower (I imagine she still does). ooo, totally favoriting this one because i have horrible, lizard-like dry skin the the winter! i'm also an eczema sufferer so this mask couldn't come at a better time. thanks for sharing! My skins gets so dry in the winter. It is a constant battle. I will have to give this a try. i love at home facials! Need to try this on the body for sure. Such dry skin this year! I might have to try this on my legs--I get little red bumps that itch all the time so maybe this would help! Does this help get rid of acne ?